Now available in our NEW SATIN BLACK ANODIZED FINISH! 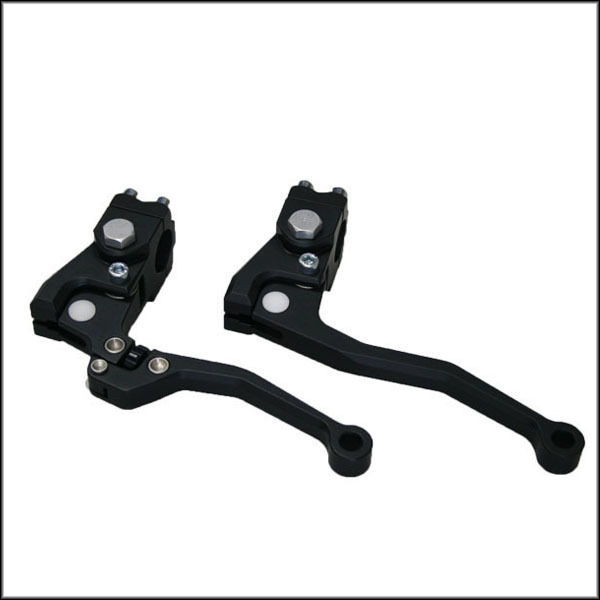 !This ISR clutch lever assembly is intended for use with Harleys standard issue clutch cable for 5 speed gear boxes and fits 1″ handlebars. The perch features a mounting point for a mirror and is available with an optional adjustable lever as shown.